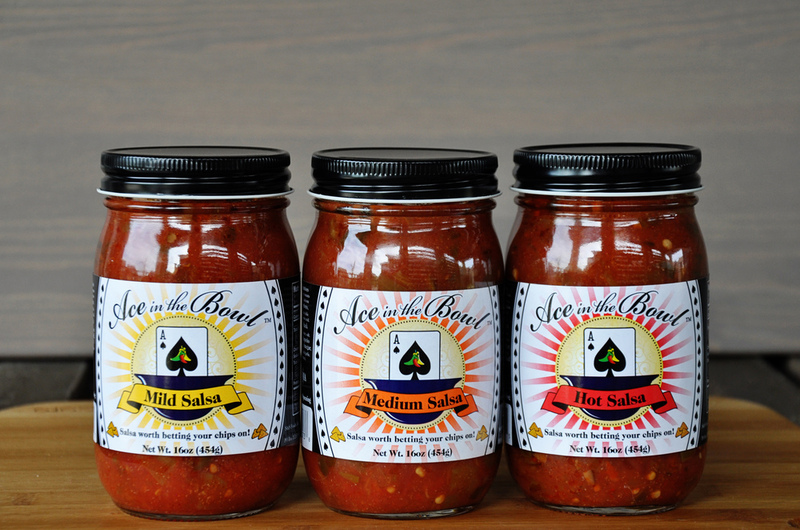 For over 20 years, Ace in the Bowl Salsa has been a staple at many family and social events. In 2012, Ace hit the shelves. Over the last twenty years, I have been asked many times if I ever thought of marketing my salsa because it had such a unique taste. At first I did not give it much thought. My husband and I have a small business and at that time our girls kept us busy with school and all their activities. How would I have time to start a Made In Oklahoma Salsa business with everything I had in my life to do? In January of 2012, I thought the time might be right to look into this idea of having a Made In Oklahoma product. So with the help of Oklahoma State University's Robert M. Kerr Food & Agricultural Products Center, I learned the process and approach it would take to commercialize my product. Soon after, Unique Foods, LLC became a reality and in October 2012, Ace in the Bowl Salsa was in jars ready to go on store shelves. Ace in the Bowl Salsa comes in Mild (the original), Medium and Hot (for those who like a little "kick"). The salsa has a unique flavor because it has ingredients not found in other salsas found on store shelves. It is not only good with chips but has a multitude of other uses too. The ideas are endless; check out our recipe section below for ideas! When I do samplings, I love to see people's reaction as they taste the salsa. It truly has a unique taste. I hope you enjoy the unique experience of Ace in the Bowl Salsa. Love this Salsa. Have used it in several ways, including meatloaf, deviled eggs, and mixed with Greek yogurt for veggie dip. I would recommend it to any and all. Not your average, run of the mill salsa by any means, rather a delicious gourmet salsa. I love Ace in the Bowl salsa. We eat it frequently at our house. I keep some on hand to set out if we have guests over. I have given it as part of a gift for others. I find that Ace in the Bowl is enjoyed by all. The flavor is amazing. I generally like spicy foods and the Medium salsa is plenty for me. Yet the Mild salsa is perfect for my mother who doesn’t handle spicy foods very well. I’m so glad I have found such a great product in Ace in the Bowl salsa while supporting small business as well! My family loves my crockpot chicken tacos made with Ace in the Bowl salsa! Yummiest salsa around. Can I rate this salsa a 10!?! 5 from me and 5 from the baby in my tummy because we are LOVING it!!! Tried your salsa for the first time…must say it is AWESOME!!! Your salsa is very flavorful and delicious! My husband and I ate 1 entire jar last night on homemade tostadas. Super Great! I loved the Mild and Medium. Enjoyed it. Excellent salsa!! It’s a hit with my family and friends!! I have been eating Ace in the Bowl Salsa for several years, and now it’s the only kind I buy. I buy jars to give as gifts. I use it for dipping chips and cooking. I love it in my scrambled eggs. Once I mixed the Hot with Mild since I was out of Medium. A whole new flavor! This is a great product and I would certainly recommend it. Thanks, Ace in the Bowl!! 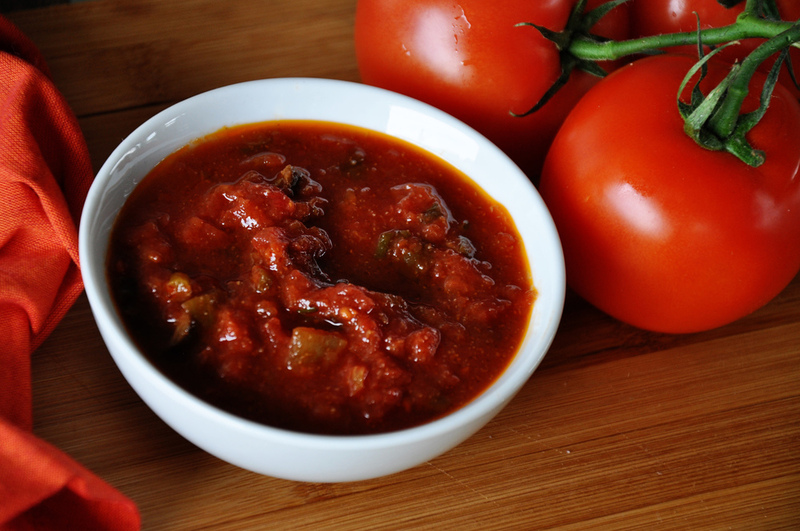 Our family, including all of our grandchildren, loves the unique taste and texture of Ace in the Bowl salsa! The Black olives make it amazing. Not only is it great with chips, but when added to cream cheese it makes a wonderful and quick spread for crackers. It is also a great topping to our favorite Layered Bean Dip or smothered over Baked Chicken Breast. Always health conscious, I appreciate that it is SUGAR FREE and 2 tablespoons are only 15 calories. Therefore, I used Ace in the Bowl salsa instead of a salad dressing for my taco salad. Delicious! Bixby 10111 S. Memorial Dr. Broken Arrow 851 E. Hillside Dr.
Edmond 24 E. 2nd St.
Norman 559 W. Main St.
Oklahoma City 6410 N. May Ave.
Oklahoma City 12200 N. MacArthur Blvd. Yukon - 1105 Garth Brooks Blvd. Claremore 1000 W. Will Rogers Blvd. Jenks 446 S. Elm St.
Langley 1624 N. 3rd St.
Bethany 7101 NW 23rd St.
Del City 4129 SE 29th St.
Oklahoma City 9252 N. May Ave.
You can also find Ace in the Bowl in these great local establishments! NW 122nd and May Ave.
Cook pasta according to directions. Drain and set aside. Cook bacon until crispy, cool, and chop. Set aside. Melt butter in a saucepan over medium heat. Add flour and stir until liquid is absorbed and roux begins to form. Add milk and half and half and stir continuously. Bring to a boil and cook until liquid is thick and smooth. Remove from heat and add cream cheese, Monterrey Jack, cheddar, and salt and pepper. Stir until cheese is completely melted into the liquid. In a large bowl, combine pasta with cheese sauce. Fold in bacon and salsa. Pour into a buttered baking dish. Top with jalapeno slices and bread crumbs. Bake at 350 degrees for 45-60 minutes or until golden brown and cheese is bubbly, enjoy! Serve with club crackers, wheat thins, or bagel chips. or as a main dish with a vegetable. Pecans, crumbled sausage, crumbled bacon or a thin slice of ham. Roll up then chill. Slice into pinwheels. Make sure casserole is done in the center and then top with the remaining cheese. The Lost Ogle has named Ace in the Bowl as one of the top 5 Best Made-in-Oklahoma salsas! Click here to read the full list! Click here to read the SupermarketGuru's full review! Click here to watch Ace in the Bowl featured with other amazing Made-in-Oklahoma products on News 9 OKC!